Our Ultimate Value Package gives you the ultimate in Online Driver's Education Preparation. With this comprehensive Driver's Ed solution you can complete your course online and take your Permit Test online too! Now you'll get our highly-rated course complete with all the bells and whistles to help you get your Learner's Permit the fast & easy way. Complete this entire DMV-Approved course online from the comfort of your own home. Take your permit exam online, too! Why spend time standing in long lines at the DMV? 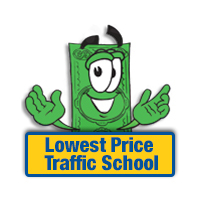 Our Practice Test includes Rules of the Road and Road Signs information straight from the DMV handbook. A unique studying format makes it much easier to learn. Get prepared for your Behind-the-Wheel training with our at home simulator course. This course helps put you in the Driver's seat. Our monthly newsletter features tips and suggestions for keeping teens focused on being safe and responsible drivers. This guide created for parents, provides a practical, step-by-step approach to instructing your teen how to become a Safe Driver through behavior, attitude, skills and experience. This fully customizable agreement was designed to help keep teens and parents on the same page when it comes to being a responsible driver. What you'll appreciate most about our online format is the convenience it provides. You can study anywhere you can find an internet connection. You can also work whenever you want because you'll have 24/7 access. Need to take a break? Just log off and we'll save your place. It's that easy! Once you complete the course and pass the final exam, we'll process your certificate of completion immediately and send it out the same business day. If you're under the purview of the DHSMV you may require expedited delivery. We offer overnight delivery via mail or electronic certificates via email for a nominal fee. With our Ultimate Value Package you're not only getting the best First-Time Driver preparation money can buy, you're also getting it at the lowest price you'll find. And if you do happen to find a lower price, just let us know and we'll make it right. Find out more about our Low Price Guarantee. And We Have a Money-Back Guarantee, Too! We not only offer the lowest price, we also include a complete, no questions asked Money-Back Guarantee. If you're unsatisfied with our First-Time Driver preparation for any reason, call our customer service team and they'll process your refund as soon as possible. Learn more about our Money-Back Guarantee.